Ok, so I’m not really a book reviewer. Actually I’m not a book reviewer at all. A reader to be sure, I get through 3-4 novels a month – it would be more, I just don’t have as much time to read as I would like! 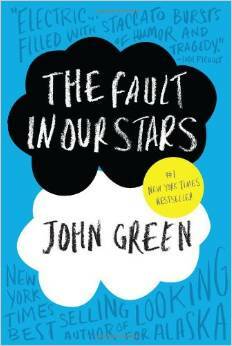 That said, last night I finished The Fault in Our Stars by John Green. This book has had hugely positive press and that combined with the hype around the movie, pushed me to read it (I actually purchased the book dammit). I always like to read the book before I see the movie. I wish I hadn’t wasted my time. Oh I know this is contrary (very contrary) to popular opinion. But honestly, I could not connect with any of the characters who I found completely unrealistic – and that for me, is what reading is all about. Connecting to another world, another person, another life. I won’t go into the plot review etc, you probably know it, or can go to Amazon and check it out. But I was expecting to be moved, to be emotional, to cry. I found myself annoyed at teenagers that spoke like post-doctoral academics, annoyed at facets of the plot that just seemed unrealistic, and to be honest, I was bored. This was my first John Green work and I’m not writing him off completely, I might have to give another of his titles a go. But there you go, love or hate me for it, this is my opinion, I didn’t enjoy The Fault in Our Stars one bit and I wouldn’t recommend it to anyone. There are better books out there. I didn’t hate The Fault in Our Stars, but I did like every other John Green book that I’ve read more than that. I’d give Paper Towns a try if you’re looking for another. I read The Fault in Our Stars a while back, may read it again just to remind myself, but I remember feeling the same thing that I never really connected with the characters. Completely a personal thing, but we’re definitely in the minority there, haha!